DNS with Geographical Redundancy provides an infrastructure and supply the high reliability of web hosting services and email hosting through service providers. The basics of the mechanism must be understood from the very basic articles if one does not have the technical knowledge on the terminologies. Like Basics of Domain Name System (DNS), Frequently Asked Question on Domains and DNS are very important topics. When we are talking about DNS with Geographical Redundancy; obviously there is need to know the basics of Redundancy in Computing as well. The usual managed DNS with Geographical Redundancy is a detail-oriented service to all types of customers who have the need for a geographically redundant DNS infrastructure to ensure reliability and the need to upgrade its infrastructure from the traditional DNS system. with x number of physically located virtual machines, the managed DNS with Geographical Redundancy is usually ideal for small ISP or professionals who need to secure the DNS and also put a few hundred domains, ensuring full redundancy of the service and preventing their domains become traceless. These services are designed to be a usable solution at multiple levels, the DNS with Geographical Redundancy, in effect has a control panel that is accessible both at the user level, as well as retailer and administrator level; so that one can entrust the management of a single user to certain domains. As the product is different from our regular tutorials, we did not run the test or guides; but we have focused on the use of the service in general. The service tried to any hosting service provider can reside on the servers outside of the hosting service provider and is managed as a managed service from outside, however the provider makes the control panel available to the customers who want to install this solution internally. It is a solution for customers who are not interested on the appliance completely, but only need the control panel. Warranty of Uptime for 99.99% with penalty and compensation with proper SLA. TTL records usually directly can be managed from the panel, with little effort from the provider could also provide a dynamic DNS service, API is usually added to make it possible to automate the management of DNS via scripts. There are various providers of DNS with Geographical Redundancy, but one must test at least two different providers to understand and judge the quality of service. This Article Has Been Shared 8496 Times! Shifting From Dedicated Server to Cloud Server demands to define what are the basic features in a IaaS cloud infrastructure and what is the net profit. 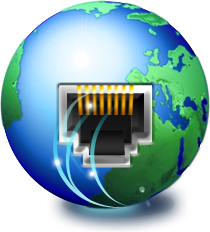 Cite this article as: Abhishek Ghosh, "DNS with Geographical Redundancy," in The Customize Windows, June 24, 2013, April 21, 2019, https://thecustomizewindows.com/2013/06/dns-with-geographical-redundancy/.